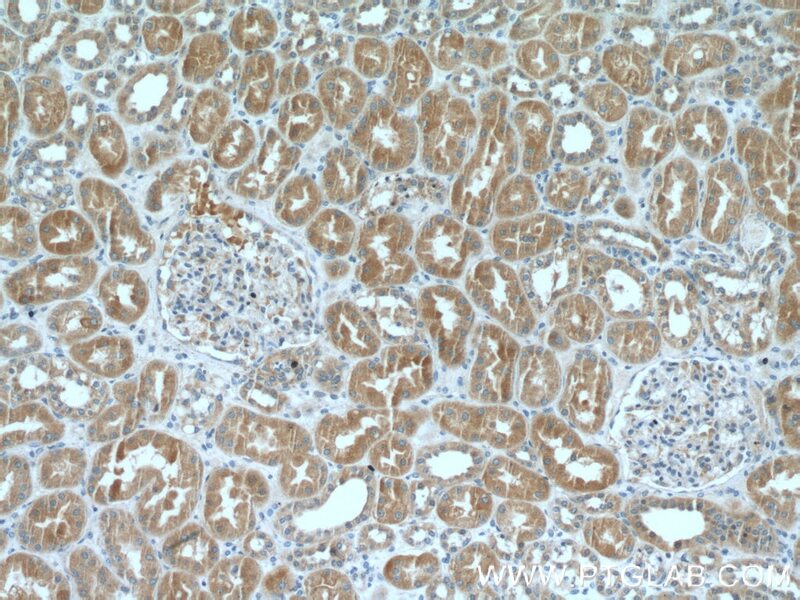 Immunohistochemical analysis of paraffin-embedded human kidney tissue slide using 10800-1-AP( ARF3 Antibody) at dilution of 1:200 (under 10x lens). 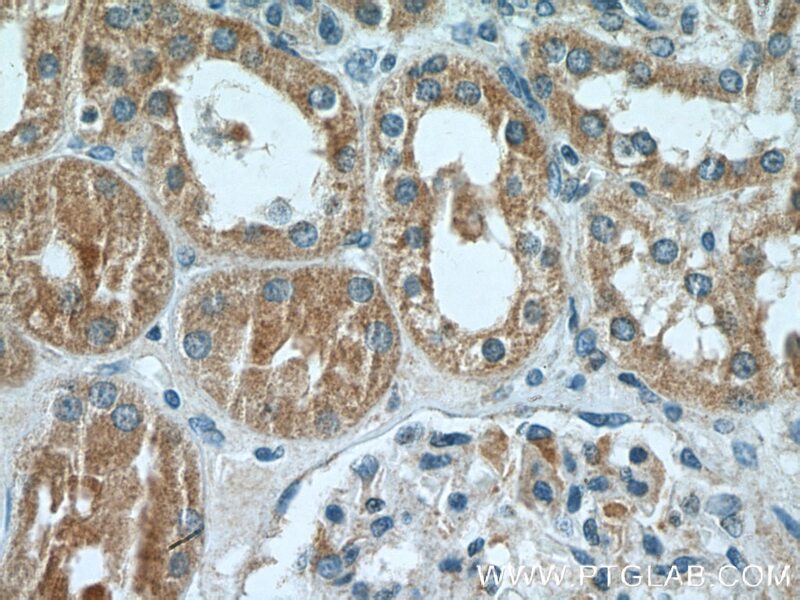 Immunohistochemical analysis of paraffin-embedded human kidney tissue slide using 10800-1-AP( ARF3 Antibody) at dilution of 1:200 (under 40x lens). ADP-ribosylation factors (ARFs) are members of the ARF family of GTP-binding proteins of the Ras superfamily, with 20kda protein size. ARFs bind and regulate GTP/GDP cycle by alternating between the active GTP-bound and inactive GDP-bound conformations. ARF family proteins are essential and ubiquitous in eukaryotes. 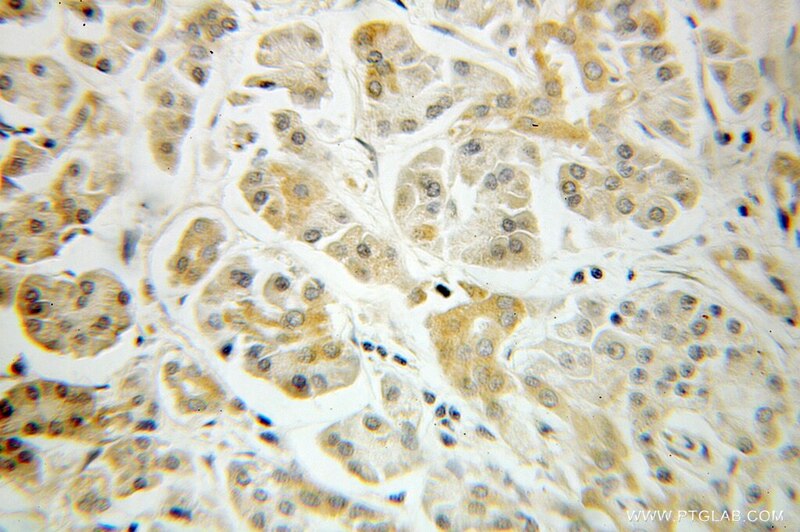 Six highly conserved members of the family have been identified in mammalian cells. 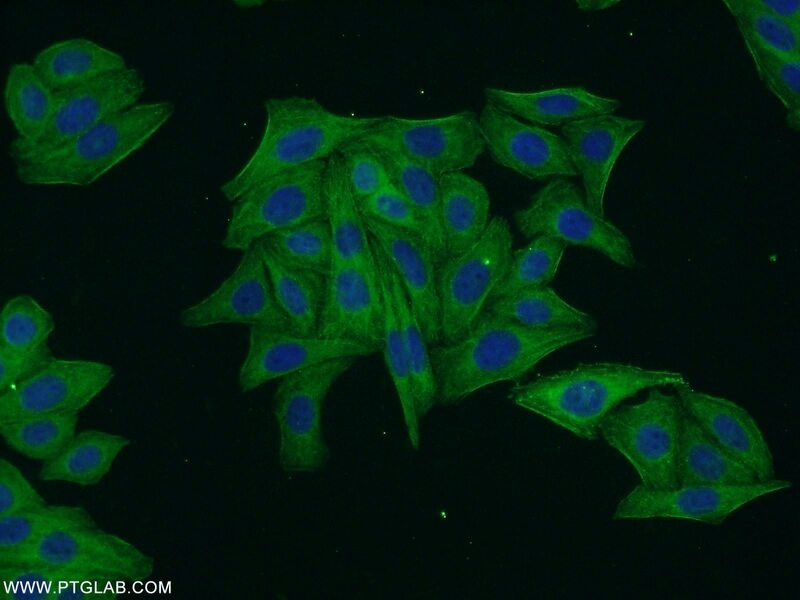 They function in vesicular traffic and actin remodelling and other bioprocesses in cells. ARF3 is 95% homolouous to ARF1. Its function was not fully understood. (PMID: 7759471, PMID: 16042562). 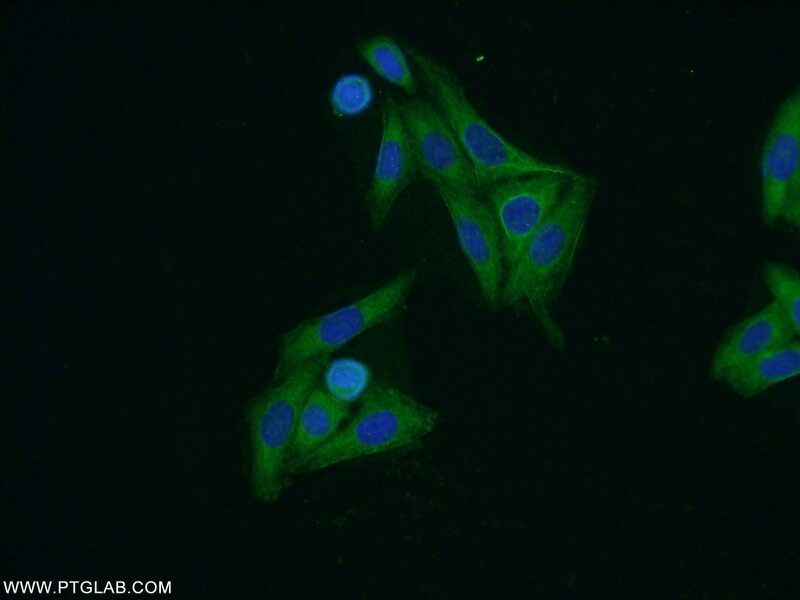 This antibody can bind ARFs for the close sequences. 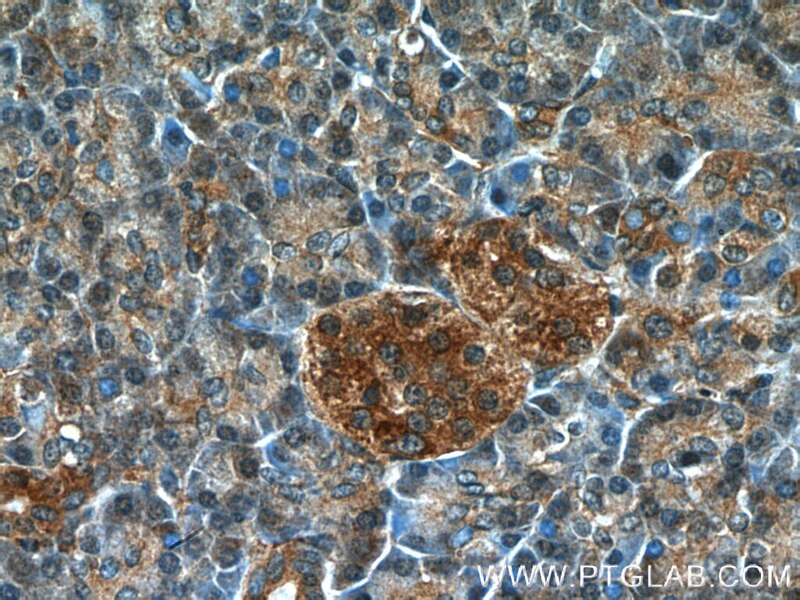 Immunohistochemical analysis of paraffin-embedded human pancreas tissue slide using 10800-1-AP( ARF3 Antibody) at dilution of 1:200 (under 10x lens). 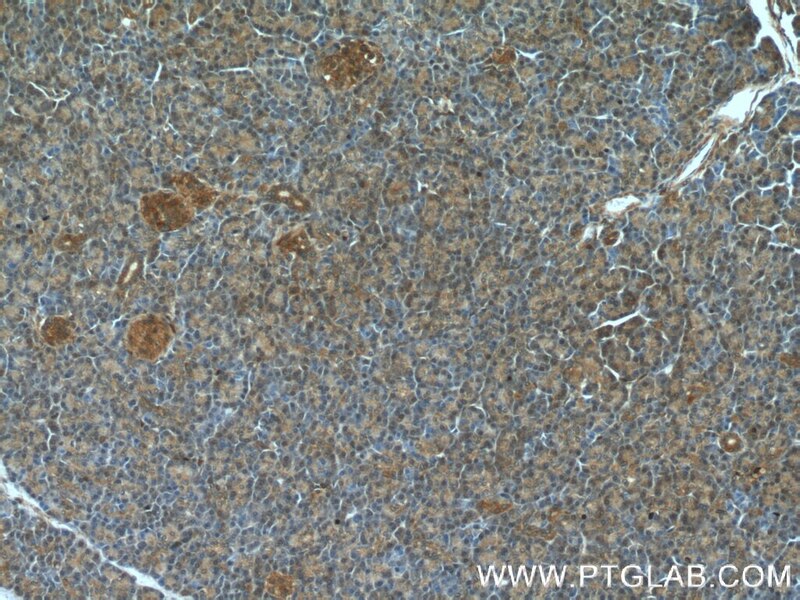 Immunohistochemical analysis of paraffin-embedded human pancreas tissue slide using 10800-1-AP( ARF3 Antibody) at dilution of 1:200 (under 40x lens).